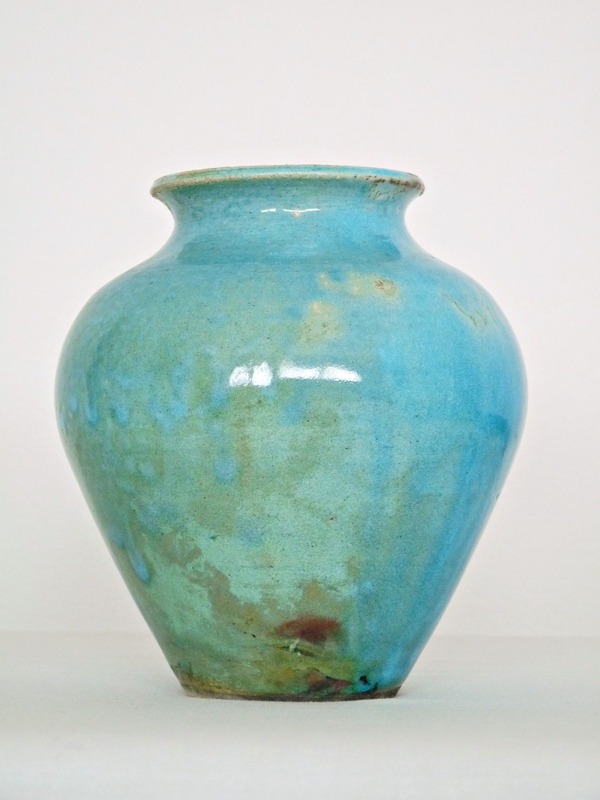 A gorgeous, but small-ish, vase for $5.00 from an estate sale. You caught a peek of it on the mantle here. 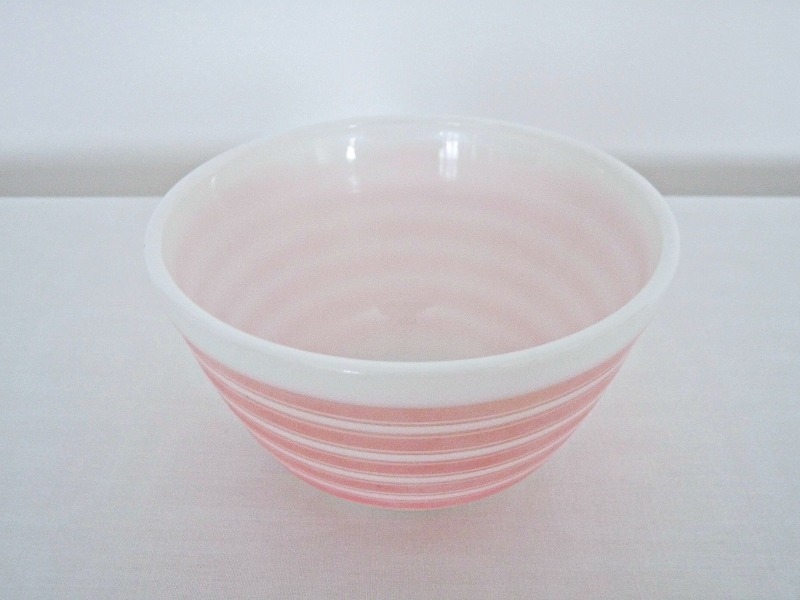 A sweet little pink striped Pyrex bowl. I have a feeling Mom might be stealing this one. 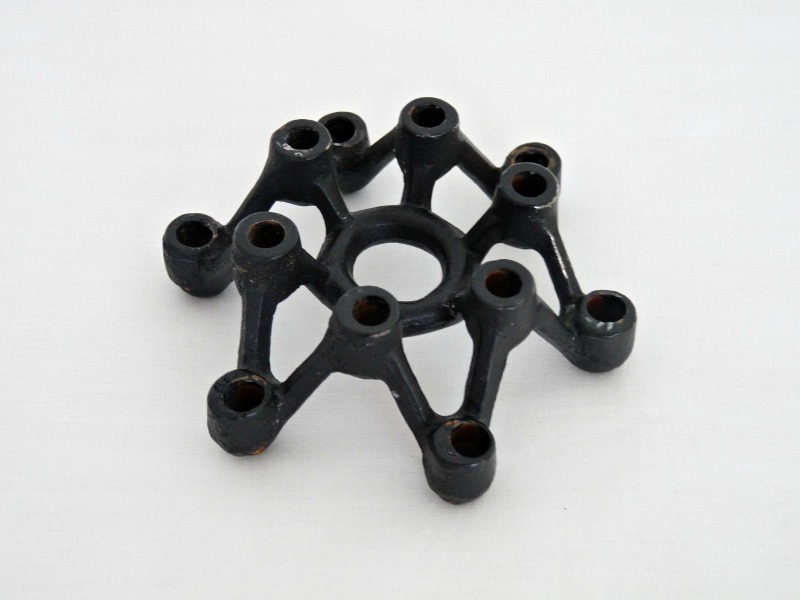 Another cast iron votive holder. This one marked Japan. Alright, I need to open an Etsy shop. Soon. More vintage melamine for a play kitchen (this isn’t Melmac, though). 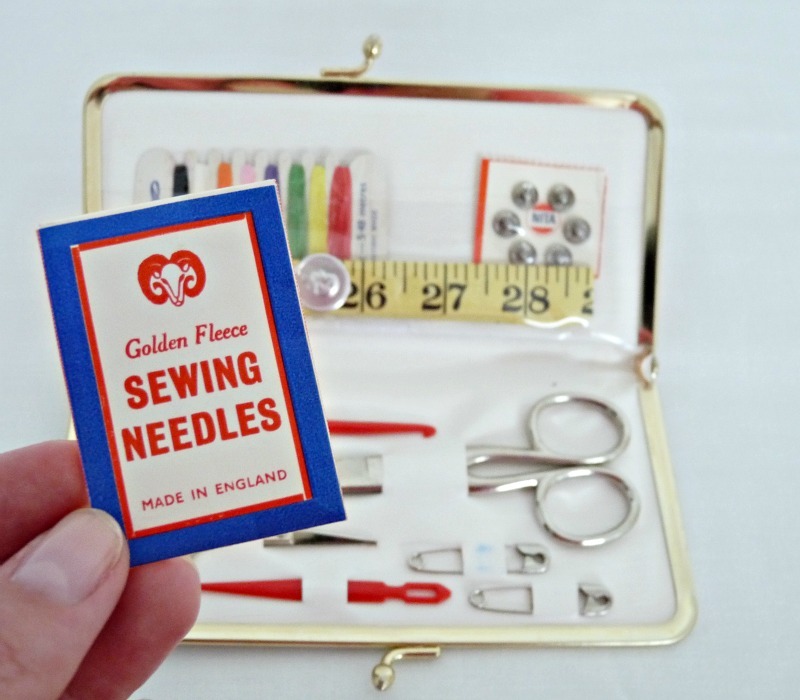 I am planning a pretty long research trip abroad (details soon) and I thought this vintage sewing kit would be perfect. Actual scissors? Needles made in English? Snaps? Gosh, people sure were spoiled. This will be much handier than the cheap-o hotel version I have. Previous Post Treasure Hunting Report: Bowled Over & One Friend Less? I promise to share details about my trip soon, once I get my ducks in a row 🙂 Hey, a Paris conference sounds lovely!! I am never able to find such cool/beautiful things in my area… which is why I agree that you should open an Etsy shop. And.. yay research! Maybe I'll stop finding things once I open a shop, lol. I love the candle holder, very cool! I love the vase and yesterday's bowl. Very nice finds! I want that pink pyrex! You are a good thrifter gf! I had a couple of posts to catch up on – I'm loving all your recent finds! How do you find the prices at your VV? I've noticed the local one here has gotten quite pricey, especially for these types of items (pricey for a thrift store, mind you). Hope some of the relationship stress eases for you soon so you focus on the people in your life who bring you happiness! oops – "so you CAN focus…"
Thanks! VV prices seem high, although my fab bowl was only $4.99 (from yesterday). But with spring/summer here, most of my finds are yard sale specials, where the prices are rock bottom – esp. church/rummage sales!! Sooo great to be back and finally be able to play catch up on your blog. Wow you've been B-U-S-Y in such a great wayyyyyyy. Love all your finds, Tanya. 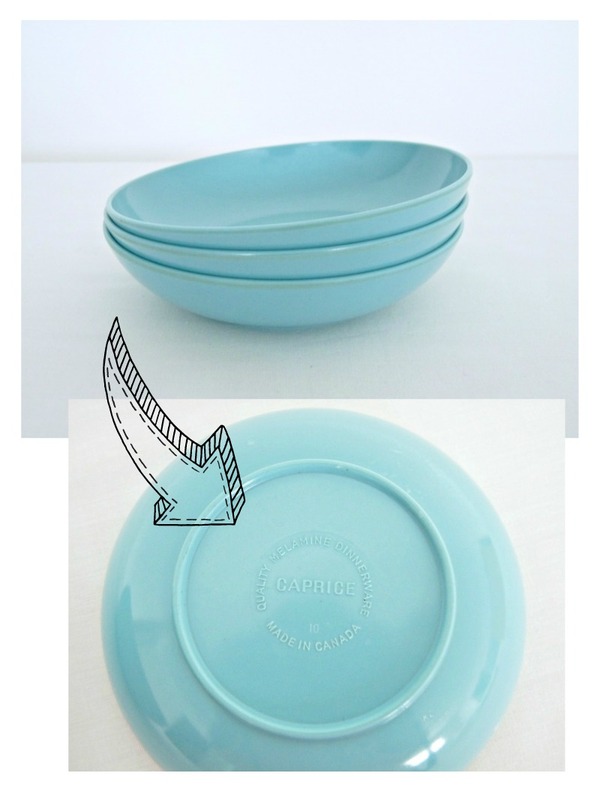 Especially that color on the caprice melamine: yummy! What is this about researching abroad? Any plan to go down to the bay area? I love the little pink bowl…I want MOOOOOORE pyrex!! !